It is the beginning of the week and I am looking forward to Thursday. Yes, Thursday. It is the day that the International Program Team and its NY-based and remote staff meet, without-fail, to check in on all things International Program. From time to time we have special guests who range from other Episcopal Relief & Development department staff, to Board Members, to partners whom some of us know better than others. We start by sharing appreciations that range from the requisite “coffee” to “family” to “faith”…or in other words we acknowledge the abundance we see and feel in our lives in aggregate or in the moment when it is our turn. People rarely pass on this opportunity to share because the act itself, perhaps especially when one needs to reach for an appreciation, is part of the process – our process. And today, I find myself appreciating the time and effort that we put into our approach to working with each other as a team and in partnership with the women and men who implement the programs we support around the world. While there is always room to grow and be better - we do not just talk about a strengths-based approach or the value of peer-to-peer exchange. We practice facilitating discussions and building relationships with the goal of making our partners and their programs better. These skills we build and value as a team allow us to deeply engage our partners in reflecting, dreaming and understanding what is working and why. We call them “change agents” because they are the front line: the people who help communities to empower themselves (because you can not empower someone else). They have as much to learn from each other as they do from us. This week, amidst what seems to be an endless month of natural disasters, I appreciate that partners from Kenya, Zambia, and Zimbabwe will be sharing their learning, inspiration and recent moments of fellowship with each other with us. 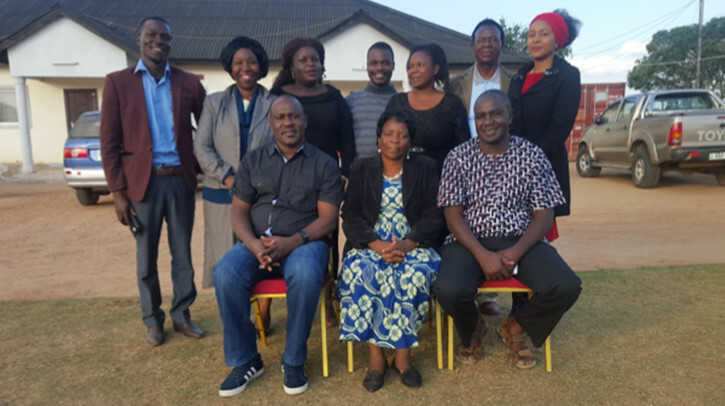 You see, Zambia Anglican Council Outreach Program (ZACOP) generously hosted an Integrated Early Childhood Development (ECD) Program Peer Exchange and Learning visit for both ADS Nyanza from Kenya and the Diocese of Matabeleland-Zimbabwe. ZACOP’s integrated program, over five years strong, began in 2012 with the support of Conrad N. Hilton Foundation. My wise and understated colleague Abiy Seifu, Senior Program Officer and ECD sector-lead, has walked with ZACOP from the beginning and has facilitated points of learning and collaboration with all three partners. ZACOP’s program integrates parenting skills and subsequent community leadership structures that support the cognitive, socio-emotional and physical development of children while aiming to improve maternal and child health, nutrition, family food security and economic status. Ambitious work! Now, they are in a position to share their documented successes and are passionate to do so. ADS-Nyanza has its own integrated ECD model and context and therefore much of the dialogue between the organizations has been about comparing strategies, identifying best practices and exploring continued spaces for collaboration. 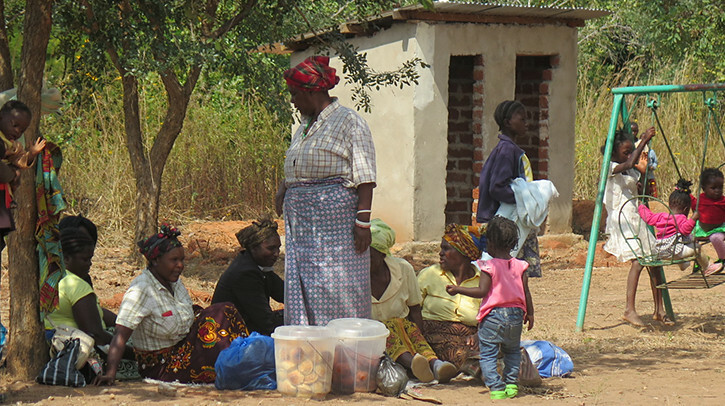 Zimbabwe implements a food security program and went to Zambia with the objective of exploring the opportunities for potential integration of ECD in their context as well as to share their experience with monitoring and evaluation. Kenya happens to be in my portfolio, so I have some insight into the points of learning they are going to share. I also read the peer exchange reports that Zambia and Zimbabwe submitted. Then again, this is my purview. The invitation to our meeting is about our partners telling their story of learning and collaboration with each other. The dialogue is facilitated, but discussion, questions and next steps (dreams) are fluid. I appreciate that they are willing to share and we are willing to listen. It takes a village after all. 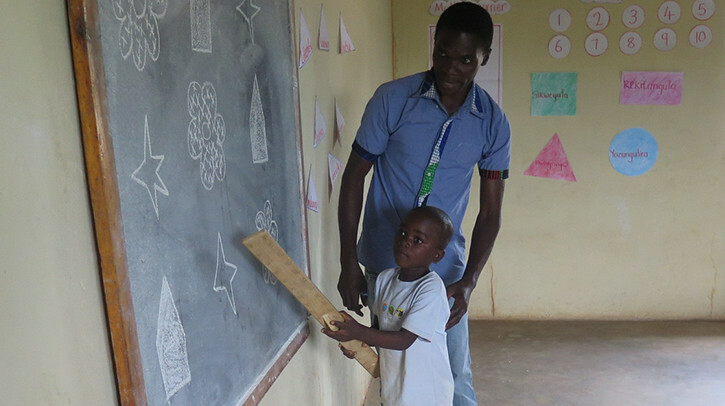 Discover more about Episcopal Relief & Development’s Integrated Early Childhood Development program. Kellie McDaniel is a Senior Program Officer for Episcopal Relief & Development. 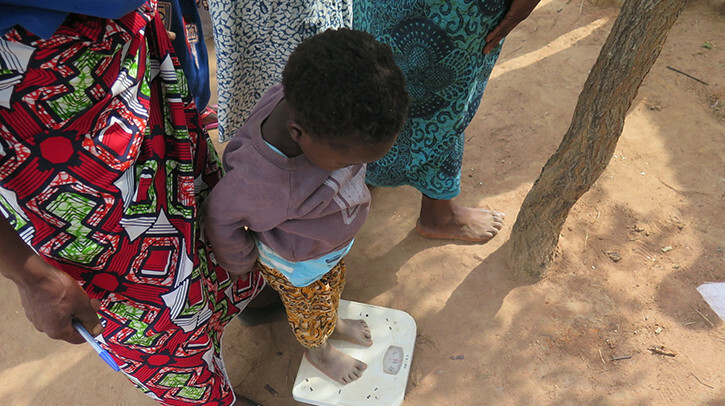 Images: Top - Child participant of Early Childhood Development program in Zambia; Middle 1- Child being weighed; Middle 2 - ADS-Nyanza and ZACOP team after debrief from peer-to-peer exchange; Middle 3 - Women gathered under tree outside of ECD center as kids play; Middle 4 - Teacher and child identify shapes on chalkboard.